This is one of my favorites for a quick dinner. It is simple and really yummy! This recipe is adapted from Vegetarian Suppers by Deborah Madison (one of my favorite cookbooks!). Cook the pasta in a large pot. While the pasta is cooking heat the olive oil in a big skillet and add the onion and pepper flakes. Cook for a few minutes, then add the chickpeas. After a few minutes, add the parsley, garlic and sage (leave some for garnish). Season well with sea salt and pepper. Cook for a few minutes, adding some broth or chick pea water if needed. 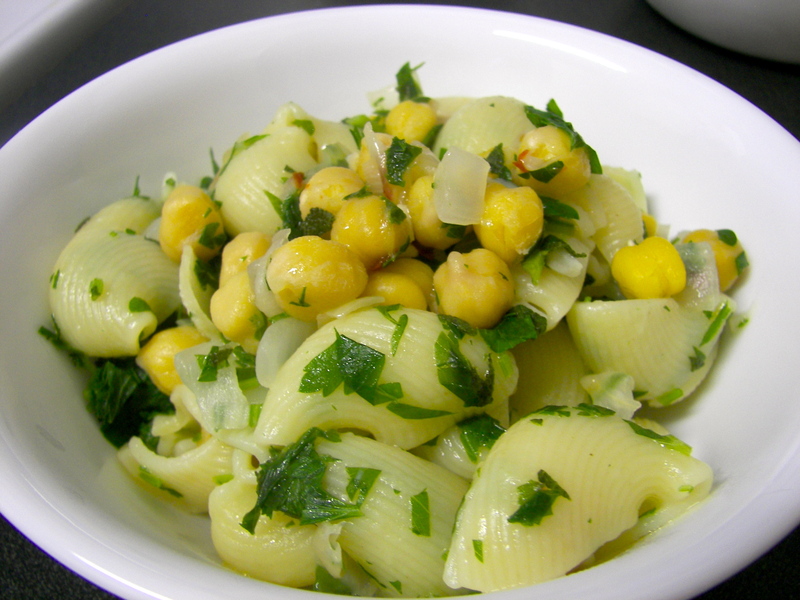 When the pasta is done, drain well and toss with the chickpea mixture, adding a little extra olive oil. Yum!